Place strawberries in a bowl or measuring cup, sprinkle with sugar and toss to combine. Place bowl in microwave at 30 second intervals until the strawberries soften slightly and the sugar dissolves in the juice. Add bananas and strawberry mixture to the blender and blend until they reach the perfect consistency. When your ice cream stops moving in the blender, you will want to stop and scrape down the pitcher of the blender and stir a few times. About 2-3 minutes total blending time. 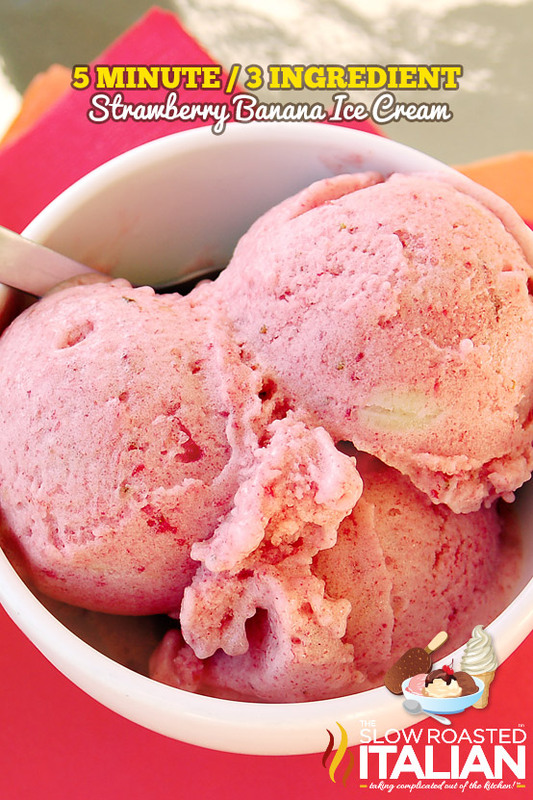 Your frozen fruit may separate into tiny frozen chunks before it becomes a fabulous creamy consistency, so be patient. Serve and enjoy! 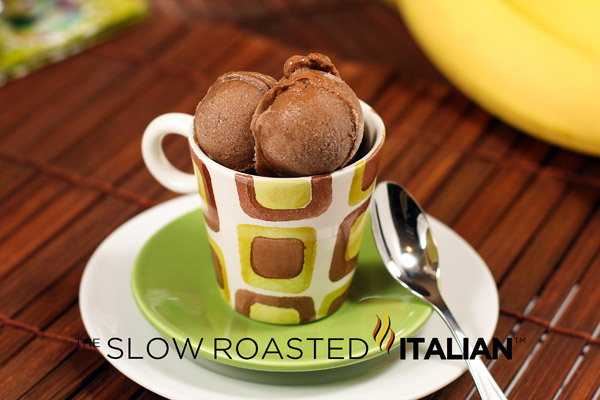 You can also transfer to a freezer safe container and allow ice cream to firm up in the freezer for 2 to 3 hours. *NOTE: There are no preservatives in your ice cream, so it will freeze solid. Simply remove from freezer 10 minutes before serving to allow to soften slightly. If freezes and keeps beautifully! Plaas piesangs in ‘n voedselverwerker. Meng totdat die mengsel begin romerig raak skraap kante as wat nodig is. Voeg kakao poeier by en pols tot heeltemal gemeng. Plaas in houer met deksel en plaas in die vrieskas vir 3-4 ure. Indien dit vir langer in die vrieskas bewaar word, haal so 10 minute voor opdiening uit om effe te ontvries, want dit vries kliphard omdat daar geen preserveermiddels in die beslag is nie. Rich and creamy, but super quick to make – no ice-cream machine and no churning required! Grease and line a 1 litre mixing bowl with cling film. Whisk the caramel condensed milk until smooth. Add the milk and instant pudding powder and whisk again. Add the whipped cream and whisk for about 5 minutes, until light and fluffy. Chop the Peppermint Crisp bars finely and fold into the caramel mixture. Spoon into the prepared bowl, cover with cling film and freeze for at least 8 hours, or until firm. To serve, turn out onto a serving plate and gently peel off the cling film, drizzle chocolate sauce over and sprinkle with gold and silver cake sprinkles. Serve immediately.